Or get a quote by email here! We offer hundreds of styles of doors with many possible variations to allow you to build the perfect door for your home. Whether you're looking for a beautiful front entry door that will make your home stand out from the rest or a simple sliding patio door, we have what you need. 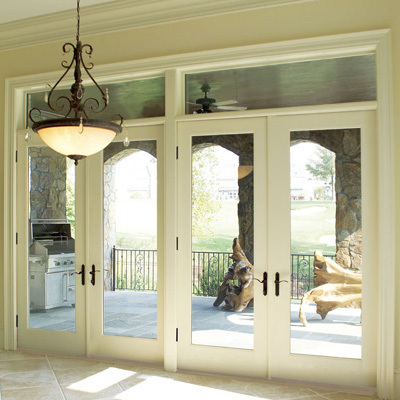 We offer three basic types of doors: entry doors, French doors, and sliding patio doors. *A beautiful new entry door can dramatically change the look of your home. *French doors provide an elegance and a level of beauty that can not be matched. *Our beautiful french doors are available in many sizes and configurations to allow you to design the perfect doors. "They did an excellent job and they did what they said they were going to do. They cleaned up very well and I would recommend them. " "The crew was on time, experienced, efficient, polite & responsive."